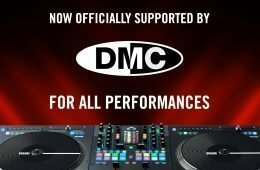 Traktor Kontrol Stand — or is it a case? 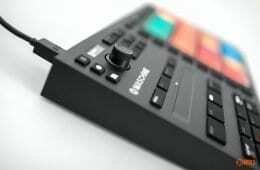 When Native Instruments made the low profile Kontrol F1 and X1 controllers, they had to do something about raising them up to the level of old fashioned DJ gear, thus the case was designed to do that very task. But it’s not idea, and a more solid stand proved necessary, verily the Traktor Kontrol Stand was born. The TRAKTOR KONTROL STAND provides optimal placement of TRAKTOR KONTROL F1 or X1 for performance. Its aluminum profile features an extra-solid base and raises your TRAKTOR KONTROL unit to industry-standard height – ideal for the TRAKTOR KONTROL Z2 mixer. Molded rubber locating pins perfectly align the X1 or F1 and prevent sliding during sets. The cover’s unique construction keeps your hardware safe during transport, makingTRAKTOR KONTROL STAND as essential on the road as it is in the club. Get a hold of TRAKTOR KONTROL STAND now and elevate your control. Available now at the NI Online Shop for $59 / 49 € and at your local retailer. Ouch. I get that this is really cool and isn’t exactly cheap to make. It is after all extruded aluminium (with an I), anodised, printed up and a plastic top case that’ll require expensive tooling too. There’s a lot going on with this, but it’s still a lot to shell out. That said, it does look great and looks like it’ll perform that task perfectly. But it beggars the question — what do you use now for carrying and lifting your Kontrol F1 and X1s up to regulation height? Did you all go with the standard NI nylon case or have you different solutions? Let’s HACK THE STAND!